Camino minus 21 – Feet, meet shoes. Shoes, meet feet. If it rains, 1) DH won’t want to ride his motorcycle, and 2) I won’t want to wear my new boots on my long practice walk for the Camino. In the end, he bet that it would rain and took the car. I bet that it would stay dry and wore my new boots. 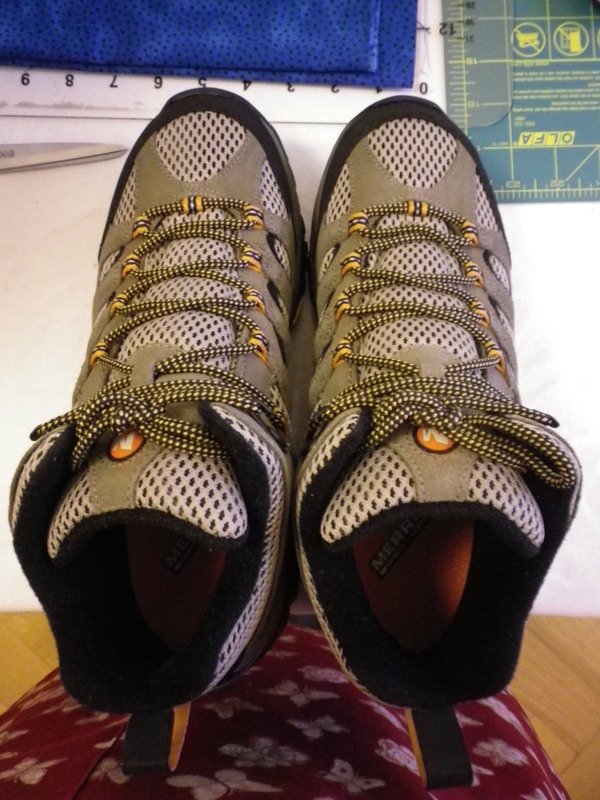 With such a short time left before I begin my Camino, I was anxious to learn whether my bet would pay off – had it been smart to buy new boots on-line so close to the Big Day? They had arrived in just a week but I hadn’t even taken them out of the box. They will never look this nice again. I later packed my fleece jacket into the bag. And 2 liters of water in a Camelback. I figured that would give me a close estimate of the weight I will be carrying on the path so that I could give the new shoes a realistic try out. With two sets of socks on each foot, the shoes fit snugly and well. And they didn’t untie every ten steps, a persistent problem with my other boots. So, I own shoes and socks and two pairs of pants. I’m working my way up. The weather stayed cloudy but dry. 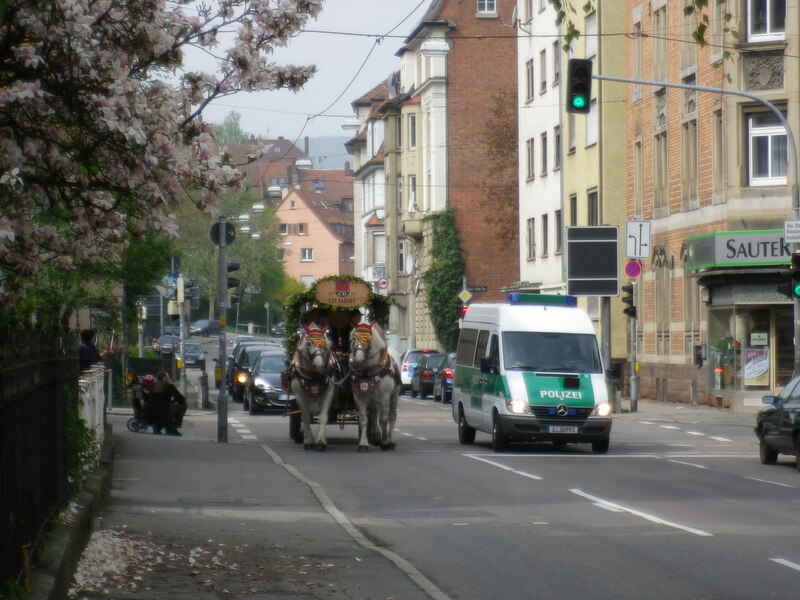 Today, May 1, was a German holiday so the roads were empty, although the sidewalks were full of people walking, biking, hiking! I had a nice encounter with some young German men, waiting for the rest of their friends at the gas station that has become my WC stop halfway through my long walk. They had day packs and beer! Heaven forbid there should be a German holiday without beer. They were friendly and, since they saw me walking past them with my enormous pack (compared to their dinky little day packs), they gave a friendly “Hallo.” I asked if they were going on a hike, they pointed in the direction they were headed, and asked where I was heading. When I told them they noted, correctly, that my “hike” was really just a walk because it would be all along roads. They offered me a beer, I declined. I pointed out to them that I had water and they agreed that beer probably wasn’t needed. 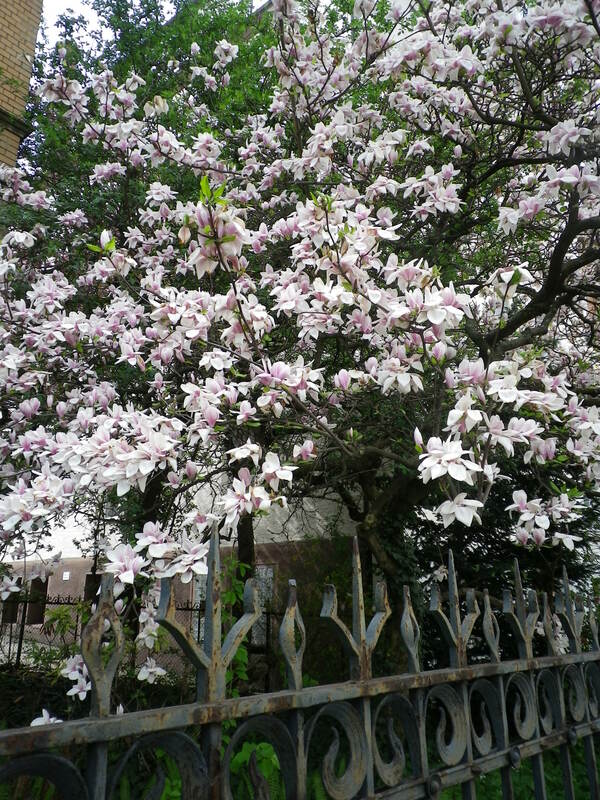 I wished them a safe and fun trip, which I’m sure they had, and I continued on my walk. By then I had forgotten about my feet and my pack, which is the sweet spot when you’re trying out new shoes. Feet, shoes, I think this is the beginning of a beautiful friendship . . . .
but I’m taking moleskin and Compeed for blisters, anyway. 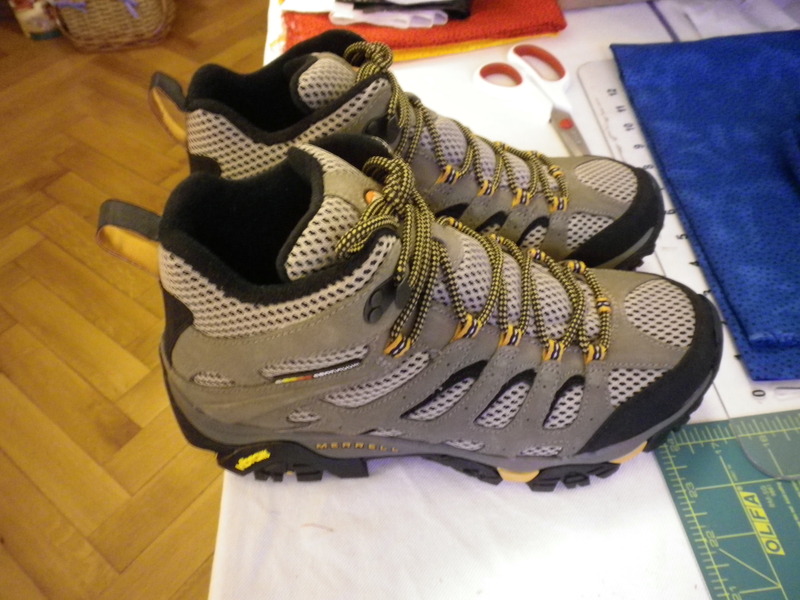 This entry was posted in Fitness, Travel and tagged Camino de Santiago de Campostella, exercise over age 60, hiking boots, outdoors, training, trip preparation. Bookmark the permalink.